India on Tuesday raised with China its concerns over the widening trade deficit and doubts over the Beijing-proposed free trade pact, Regional Comprehensive Economic Partnership (RCEP). India’s visiting Commerce Secretary Anup Wadhawan met China’s Vice Minister of Commerce Wang Shouwen and discussed the sticking points in the bilateral trade. New Delhi has repeatedly complained to Beijing about the highly-skewed trade deficit in favour of the latter and demanded that Indian firms be given greater access to Chinese markets. During his two-day visit which concluded here on Tuesday, Wadhawan again raised the issue and pressed for more actions from the Chinese side to support and promote exports of Indian products. He also pitched for more market access to Indian IT companies, pharmaceuticals and agriculture products, including major commodities like sugar, rice, milk and milk products. He noted that as a large producer of these commodities, India can emerge as a most reliable source for China. New Delhi also raised its concerns over the RCEP — a trade pact between 10 Asean countries and their six FTA partners — Australia, China, India, Japan, Korea and New Zealand. Sudhanshu Pandey, Additional Secretary, Department of Commerce and India’s chief negotiator on RCEP, also held extensive discussions with Yang Zhengwei, Deputy Director General, International Trade and Economic Affairs, Ministry of Commerce, China. 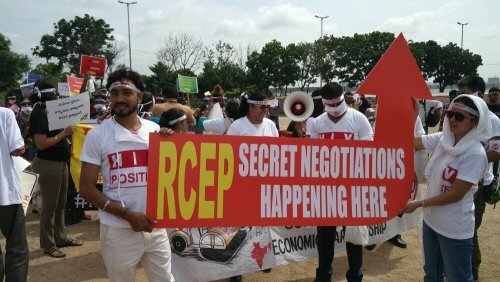 Negotiations were conducted across all the three pillars of RCEP — goods, services and investment. Bilateral talks between India and China are crucial for early conclusion of RCEP negotiations. India is wary of its market being flooded with the Chinese goods once the deal is approved. China, which wants the pact to be approved by the end of 2019, has sought to allay India’s concerns.